Apply to the M-SEA program here. FVSU’s Mathematics, Science, and Engineering Academy (M-SEA) is an early intervention pre-college program that targets minority and female students who have just been promoted to the ninth grade. 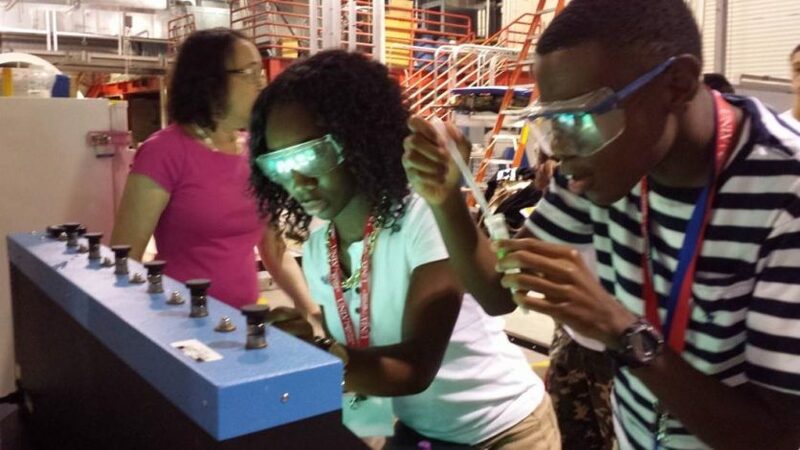 M-SEA students are introduced to the fields of energy, mathematics, earth science, biology, engineering, and health physics. Any student wishing to apply for the program must do so in their eighth grade year. Each of these items will be evaluated in order to select the students to participate in the summer academy. Upon acceptance, a registration fee must be submitted along with an application package. The cohort of selected students will remain as a group and progress through the 10th, 11th, and 12th grade academies (if all eligibility requirements are met each year). Students who remain in the CDEP pipeline until their senior year in high school increase their chances of receiving a scholarship in one of CDEP’s 3+2 dual degree programs: mathematics/engineering, mathematics/geology, mathematics/geophysics, chemistry/geology, biology/health physics, chemistry/health physics, and mathematics/health physics. The dual-degree program requires the student to enroll and attend Fort Valley State University (FVSU) for 3 years majoring in either Mathematics, Biology, or Chemistry and then transfer to one of CDEP’s partnering universities for 2 years. The student will then receive a bachelor’s degree from both FVSU and the partnering university.